In the 2008 issue of the Grassroots Development journal, we highlight the IAF’s investment in the organized poor and the institutions that support them to gain economic independence, better living conditions and other community results that are unexpected or unquantifiable. This article features a small Bolivian crafts organization of marginalized indigenous women and mestizas that turned its humble beginnings in the hinterland of South America’s poorest nation into a grassroots development success story. 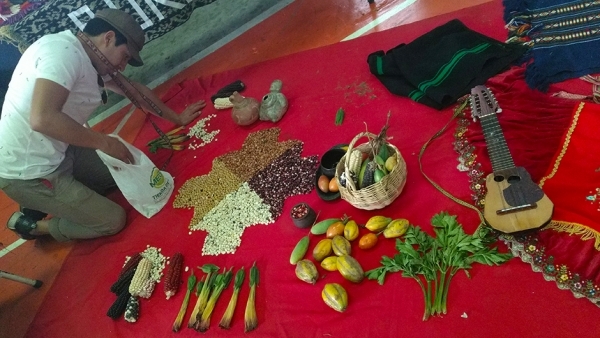 With funding from the IAF, Investigación y Comercialización de la Artesanía Cruceño extended its reach far beyond the communities originally contemplated. Here we profile the career of Elías Sánchez, a Honduran farmer whose notion of the “human farm” helped poor farmers develop more sustainable agriculture practices focused on saving and enriching the complex ecosystem of soil. Sánchez is an example of the emergence in Latin America over the last half-century of a widespread infrastructure of leadership based in thousands of nongovernmental and grassroots organizations. 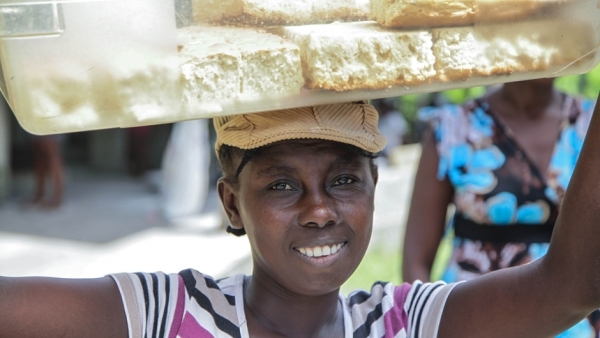 The IAF’s support of Haitian programs offering promising young people opportunities to acquire knowledge and skills needed to catalyze hometown grassroots initiatives has helped create emerging leaders in isolated regions. This article features the varied development work of Jolissaint Pierre and IAF grantee partner Mouvman Oganizasyon Devlopman nan Belfontenn [Organizational Movement for the Development of Belle Fontaine]. Here we highlight IAF-funded community-based recycling initiatives that work with waste pickers throughout Latin America and the Caribbean to develop viable businesses that incorporate all aspects of the waste management process. Their work has helped turn scavenging into a profession that contributes to society, improves lives and provides important environmental benefits to their communities. Because many Nicaraguan farmers lack the infrastructure needed to process, grade and sort coffee beans, they lose out on income gained by selling higher up in the value chain. This article shows how IAF grantee Sociedad de Pequeños Productores Exportadores y Compradores de Café is helping its farmer-members move up the value chain by improving their coffee quality and ability to process and sell directly to the export market. This article looks into the legal framework, grassroots support, necessary resources and myriad challenges of decentralizing the Peruvian government in an effort to give communities more say in setting development priorities and spending public funds. The corporate social responsibility movement has taken off in recent years, and this in-depth article considers the criteria and events that have helped it to flourish throughout Latin America. The IAF has been a long-time promoter of social engagement among the business community and the growing network of grassroots and nongovernmental organizations.